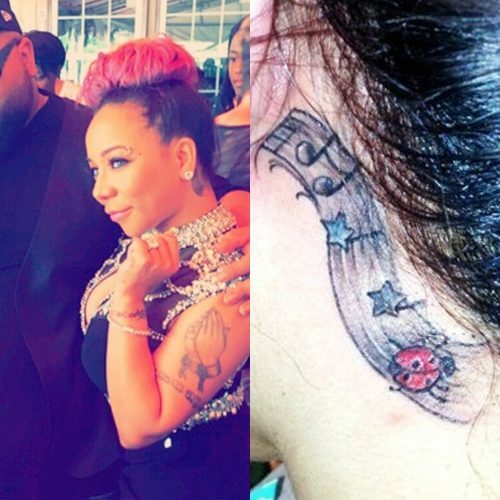 Tameka “Tiny” Cottle-Harris got a music sheet tattoo behind her left ear to match her daughter’s Zonnique Pullins tatt. 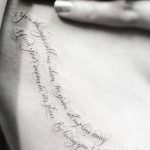 Jeannie Mai has a new tattoo on her stomach which seems to be a ladybug. 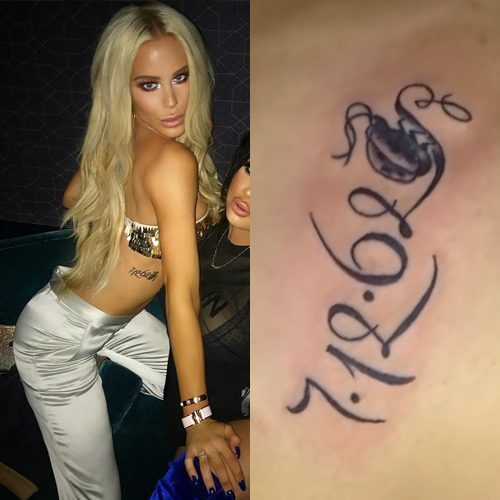 Gigi Gorgeous has a beautiful script tattoo of her mother’s birthday on her left ribs. 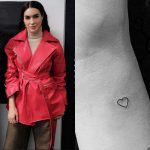 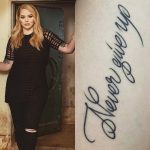 She decided to incorporate a ladybug in the tattoo design because over the last two years she kept seeing ladybugs in the most random places which made her remembering her mother and the time they bought a house in New York and there was an infestation with ladybugs all over the place. 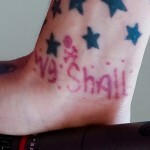 Jeannie Mai has three colorful ladybugs tattooed on her right shoulder. 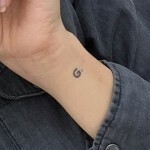 Brittany Snow has a little ladybug ink design that appears on her right wrist. 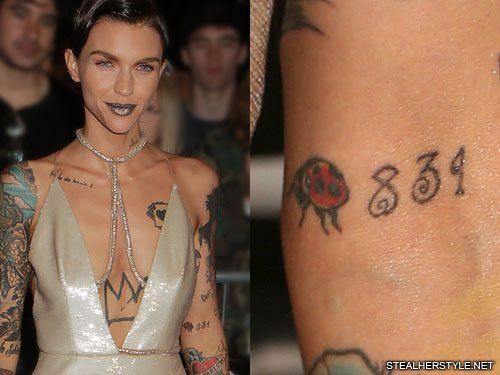 Isabeli Fontana has a ladybug tattoo on her right elbow.